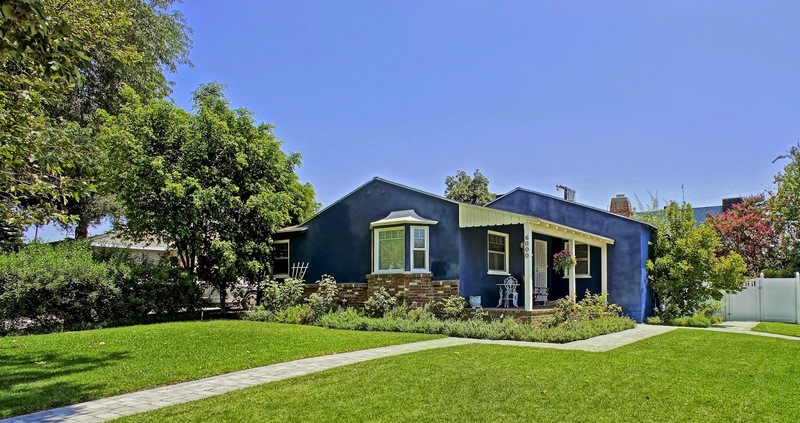 Located on One of the Prettiest Sycamore Tree Lined Streets in Southern North Hollywood! This Updated Home has 3 Bedrooms, a Den, and a Bonus Room. Newly Renovated Kitchen with Custom Cabinetry, Self Closing Drawers, Corian Solid Surface Counter Tops. In Home Laundry Area with Matching Cabinetry. Two Updated Baths. Living Room with Cozy Fireplace. The home also has Newer Dual Pane Glass Window, Newer Sewer Line and Newer Electrical with 200 Amp Service to the Home and Detached Garage. Professionally Landscaped Yards Reminiscent of English Gardens Complement this Home.